ColourPop x KathleenLights Where the Light Is Set Review, Photos and Swatches | Top Beauty Blog in the Philippines covering Makeup Reviews, Swatches, Skincare and More! From the City of Angels to the Philippines! I finally got my hands on the ColourPop x KathleenLights Where the Light Is eyeshadow quad which I have been wanting to have ever since Kathleen announced this collaboration on her YouTube channel. 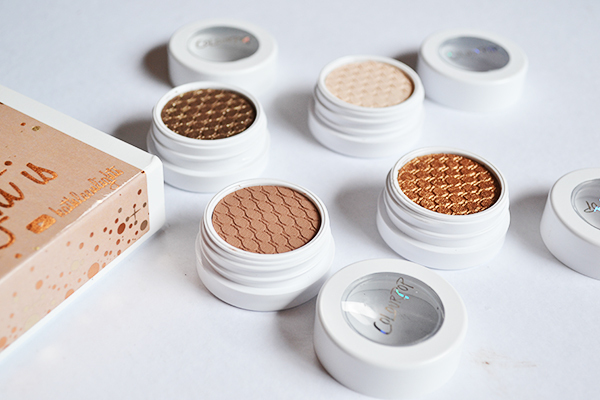 WHAT ELESE YOU NEED TO KNOW: ColourPop is a cruelty-free brand. PRODUCT DESCRIPTION: A foursome created by the one and only Kathleen Lights perfect for creating her signature look: warm, bronzy gold smokey eyes. You can go bold or subtle with these shades! 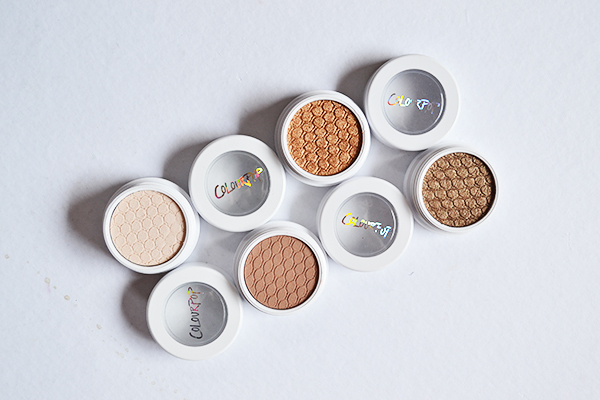 Just like all of ColourPop's other eyeshadows these ones also come in a very light-weight white plastic pots with clear, twist-off lids with the ColourPop holographic logo. The eyeshadows itself has a really gorgeous reptile-like pattern embossed into it. The shades of the eyeshadows in this quad are really beautiful and they all go well together. They are all super pigmented, ridiculously soft and creamy. It is quite hard to explain the texture and formula of the eyeshadows because they look like powder in the pan but feels very spongy almost cream-like to the touch. They all blend beautifully and can be worn even without using an eye primer. I found that they apply best ― especially the metallic ones ― with your fingers and then blended out with a fluffy brush to get rid and soften the hard edges. Overall for $20.00, you can not go wrong with this quad. I highly recommend this for warm neutral eyeshadow lovers. those eye shaodows are so perfect...I love the gold one! I like the shades, they look beautiful! Sounds like a fair price ultimately for what you are receiving, no? In love with those colors! 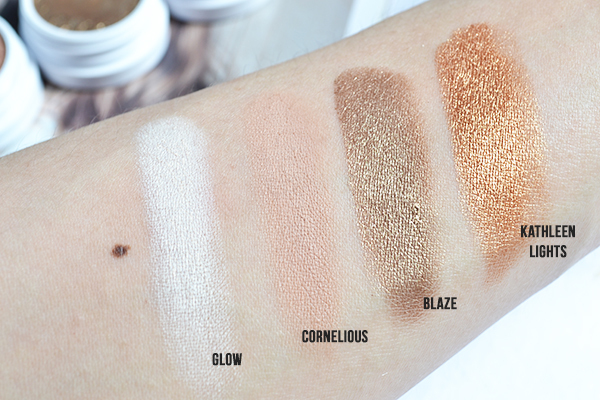 Blaze looks like such a gorgeous shade - and the price for all four is pretty good too! Wow I'm in love with the Blaze and Kathleen lights. How gorgeous are those. I'm imagining all the looks I could create with them, :)). It is so great I haveto try!! I love these natural colors! KathleenLights is awesome! Those are such pretty shades. Awesome colors, love the packaging. simply loving the colours , especially the bronze ones. too good .